CHEYENNE – In conjunction with APHIS (Animal and Plant Health Inspection Services) and Wyoming State Forestry, Crews from the City of Cheyenne Urban Forestry Division will be placing Emerald Ash Borer (EAB) traps in ash trees at several City parks and City-owned properties over the next week. The traps are green and consisted of ascending funnels and a collection cup on the bottom. 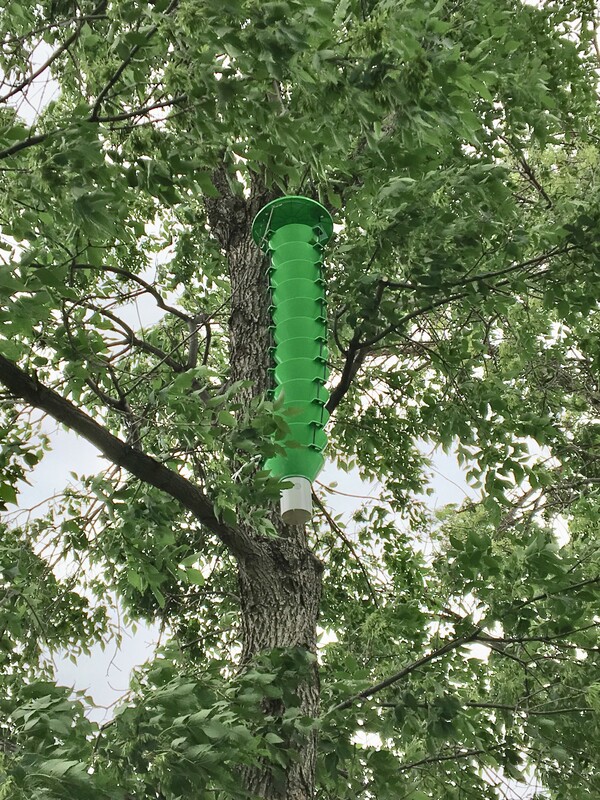 Each trap will have a non-toxic Hexenol attractant attached that is used to lure EAB adults to them. The collection cups are filled with a mixture of low toxicity antifreeze and water to help preserve and retain any insects captured. The traps will be hung in the canopies of ash trees. Residents are being asked to stay away from these traps and avoid touching any traps that might have fallen. Instead, please contact Cheyenne Urban Forestry to retrieve any downed traps. 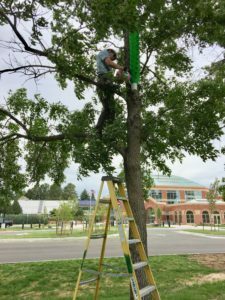 To date, Cheyenne has not detected EAB in any of our ash tree populations, but infestations have occurred in cities as close as Boulder and Longmont, CO.
Traps will be checked periodically throughout the summer and will be taken down in mid-September. If you have any further questions or concerns, please contact Urban Forestry at (307) 637-6428.